Founder and Executive Director of iPay88 - KL Chan, shares that winning the Global Responsible Business Leadership Awards 2017 puts Malaysia on the world map because the award represents the most prestigious form of recognition for companies globally in Leadership, Corporate Responsibility and Corporate Sustainability. The MyClear Malaysian e-Payments Excellence Awards for "Top FPX Acquirer (non-Bank)". iPay88 prides itself on consistently delivering world class competitive edge services, innovation and excellence in all its products and services, for its customers. The local Malaysia company has clinched a total of 12 awards, of which 5 were obtained in 2016. Chan says, "Receiving the Global Responsible Business Leadership Awards 2017 awards proves that iPay88 is not only responsible and yet still achieve the triple bottom line of People, Planet and Profit in the increasing competitive market place." For the Global Responsible Business Leadership Awards 2017 the organizers Global Compact Network Malaysia and Asia Pacific CSR Council, as well as the industry, nominated and selected its 36 international winners based on their commitment towards demonstrating excellence in business sustainability and leadership in the increasing competitive market place. The nomination and winning criteria are aligned to the ten (10) principles of the United Nations Global Compact, covering the areas of Environment, Human Rights, Labor Standards and Anti-Corruption. Winners are organizations that achieved triple bottom line success in relation to the 17 Sustainable Development Goals. Chan adds, "In light of the UN Millennium Development Goals, it is high time for large corporations and SMEs to be recognized for their effort in achieving corporate sustainability and social responsibility. It differentiates iPay88 as a socially responsible company." iPay88 also wins the Malaysian e-Payments Excellence Awards for Top FPX Acquirer (Non-Bank) awarded by MyClear, for 6th consecutive years. The Malaysian e-Payments Excellence Awards is an annual and national award by MyClear (Malaysian Electronic Clearing Corporation), a Bank Negara subsidiary. This award recognizes the outstanding achievements of banks, businesses and government agencies that have contributed significantly towards excellence, innovation and growth in e-Payments. As the appointed Third Party Acquirer since 2012, iPay88 is entrusted to sign up good and verified merchants on behalf of local banks, after performing the necessary credit and risk assessments. Chan says, "Winning this Bank Negara MyClear award is strong validation of our strength and expertise created over the years - as a single contact point for banks and financial institutions. Our hard work is recognized nationwide and by the local FSI industry as it proves iPay88's crucial role as a Third Party Acquirer entrusted by the banks." 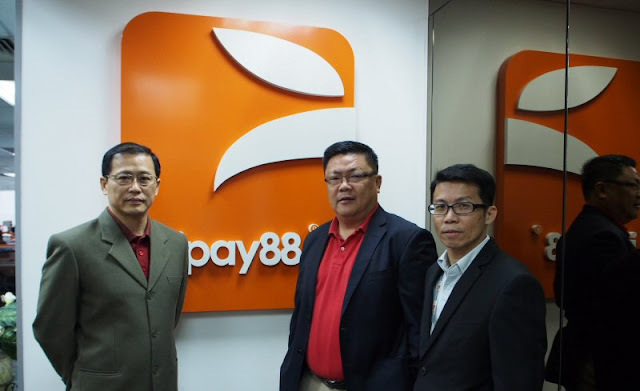 Since its inception, iPay88 has continued to focus on putting their customers as their no. 1 priority, including individuals, merchants and banks, by demonstrating state-of-the-art payment platform and infrastructure for businesses across categories to process online payments quickly and securely, while ensuring seamless and hassle-free transactions. "Winning these awards represent the breadth of iPay88's product portfolio, including auto debit, mobile point-of-sale, email payment recurring online instalment, mobile app, direct link, virtual terminal and virtual link," adds Chan. He is confident that iPay88 will continue to play a significant role in digitalising the Malaysian economy by converting more SMEs to expand their business online while growing the digital SME community in Malaysia. "It is important as businesses that fail to get digitally connected will soon be-come excluded from the global market," says Chan. iPay88 will also continue its leading role in the country's eCommerce goals under the National eCommerce Strategic Roadmap - which is to double the eCommerce growth of the country to 20.8 percent to touch a GDP of RM170 Bil-lion by Year 2020.